Teach Laugh Plan: Currently in August.... what, August? Listening: I'm watching the weather lady telling us it's going to be hot! Duh, I know, I live in South Texas! Loving: I love being a Jamberry Nails Independent Consultant. I originally joined just to get the discount because I love the wraps and wear them all the time but I've made enough money to buy lots and lots of goodies for my classroom this year plus earned a ton of fabulous new nail wraps! It is no work at all! The only parties I have had so far are facebook parties (in my pjs) and have been pretty successful. 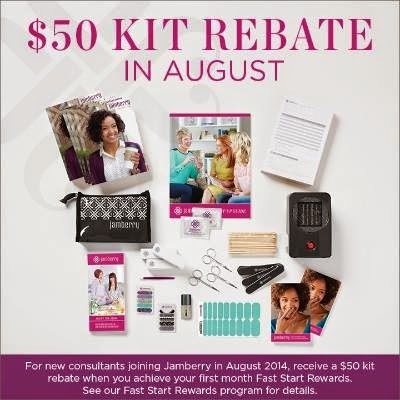 If you are interested in joining my team the month of August is the month to do it because Jamberry is offering an awesome bonus! Just shoot me an email if you want to know more or would like a sample to try it out. 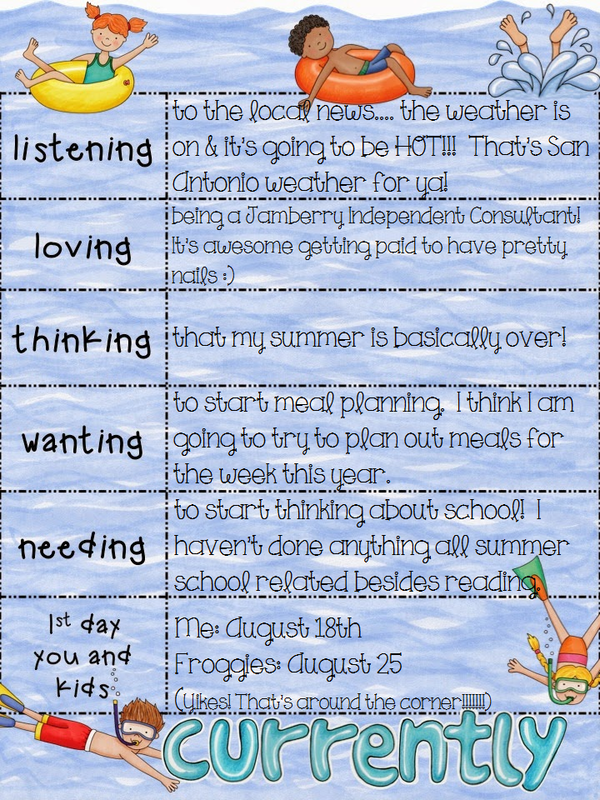 Thinking: Yup summer is basically over, time to start thinking about school! Wanting: I want to start meal planning. I see so many people doing it and preparing meals ahead of time. I am going to look into it this week and see if I can make it work for me. We "drive thru" way too much! Needing: to start thinking about school.... everything from my schedule to school clothes to going back to self contained after only teaching ELA last year. I'm officially back on contract August 18th but I have some staff development next week and will go start setting up my classroom the week after. I'll be sure to post pics when I set up the classroom and post them here. Here's to a Fabulous School year my Fabulous froggy friends! Love your blog! I need to get back into the school mind set as well. I had a long list of things I wanted to do over the summer and have yet to complete any of them. Oops! Hope you have a lovely school year and enjoy the rest of your summer! WOOHOO! I am hoping to carpool with you guys! I can't wait to see you!!!!!!!!!!!!!!!! Happy August! I spent one summer in San Antonio and I remember the hot weather. Seattle has had many 70-80 degree days this year and that's enough for me. My teacher BFF plans out her weekly meals. She has a very pretty picture frame. She writes the meals on the glass with dry erase markers. I think it cuts down on ordering take-out which happens more often than it should at my house. :-) Happy weekend!